Entered the RAN aged 15 in 1961 as Cadet Midshipman. 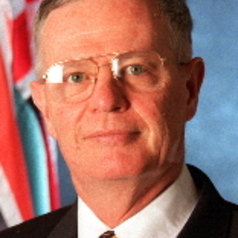 Retired as Admiral in 2002 from full-time service, and command of the Australian Defence Force. Since 2002 work has focused on strategic leadership and decision-making matters, as well as Risk Policy, Crime Prevention and strategic affairs. He is also Chair of PTSD Australia New Zealand, whose subsidiary FearLess Outreach aims to support all people in the community who live with post-traumatic stress.